West Nile virus (WNV) disease is a viral illness spread by mosquitoes. It mainly affects birds, but humans, horses, cattle, reptiles, and other animals can also become ill. It was first discovered in Africa in 1937 and first appeared in the U.S. in 1999 in New York. It quickly spread westward across the continental U.S. and by 2004, all states had detected WNV with the exception of Alaska and Hawaii. 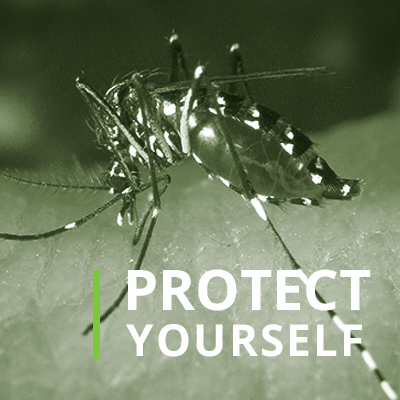 Approximately 80% of individuals who are infected with WNV do not develop any symptoms. Up to 20% of infected people will display symptoms including fever, headache, body aches, nausea, vomiting, and sometimes swollen lymph glands or a skin rash on the chest, stomach and back. Less than 1% of infected people will develop severe form of disease, which may involve inflammation of the brain and can cause disorientation, coma, tremors, convulsions, muscle weakness, vision loss, numbness, paralysis or death. The symptoms usually begin between 2 and 14 days after being bitten by infected mosquitoes, typically 2–6 days. The incubation period could be as long as 21 days in people with certain medical conditions that affect the immune system. 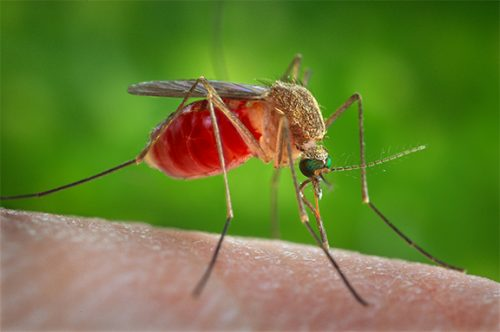 WNV is transmitted to people primarily through the bite of an infected mosquito, mainly Culex mosquitoes. Culex mosquitoes tend to bite in the morning and evening and are not known to spread Zika, dengue, or chikungunya viruses. Mosquitoes become infected when they feed on infected birds. 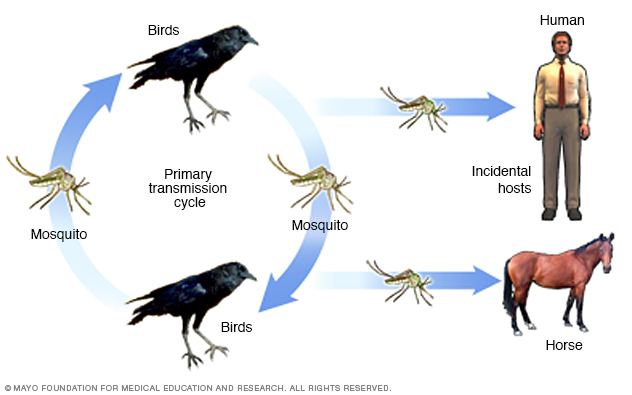 Infected mosquitoes can then spread WNV to humans and other animals when they bite. It is very rarely spread through blood transfusion, organ transplants and through breastfeeding. Since 2003, all blood donations are screened for the presence of WNV prior transfusion. WNV is not spread through casual contact such as touching or kissing a person with the virus. The diagnosis of West Nile virus is based on a combination of clinical signs and symptoms, travel history, possible exposures, in addition to laboratory testing of the blood or cerebrospinal fluid. There is no vaccine or specific treatments for WNV disease. In cases with milder symptoms, people experience fever and aches that subside on their own. Over-the-counter pain relievers can be used to reduce fever and relieve some symptoms. In severe cases, patients often need to be hospitalized to receive supportive treatment, such as intravenous fluids, pain medication, and nursing care. One a person has recovered from WNV infection, they are immune to future infection. This immunity may decrease over time or with health conditions that compromise the immune system. West Nile virus is not endemic in Hawaii; cases of the disease in Hawaii have all been infected through exposures outside of the state. However, Culex species mosquitoes competent to transmit these viruses are present in Hawaii and are wide spread throughout the state. Health and wildlife agencies in Hawaii are working to prevent the spread of the virus to the state. Maintain screen on windows and doors. If you are going to be traveling, check before leaving if there is a risk of WNV at your destination, and if so, be sure to take precautions against mosquito bites. West Nile virus disease is notifiable in Hawaii and should be reported by telephone to the Disease Outbreak Control Division, Disease Investigation Branch on Oahu, or to the District Health Office on the neighbor islands as soon as a provisional diagnosis is established. The State Laboratory Division (SLD) of the Hawaii State Department of Health (HDOH) can perform several different tests for West Nile virus. Healthcare providers submit the specimens to SLD along with the completed West Nile virus initial case and lab submission form and Clinical Specimen Submission Form (SLD Form 81.3). All specimens should be routed to SLD through a certified clinical laboratory. All testing requires HDOH review and approval. If healthcare providers pursue testing through a private commercial lab, consult clinical laboratory for send-out options. Healthcare providers should follow CDC testing criteria for whom to test and guidance for what should be tested.